Andy Mackler is a 12 year old middle school student who organized this tournament as his Bar Mitzvah project. He began to play tennis at 5 years old and his passion for the sport has continued to grow over the past seven years! 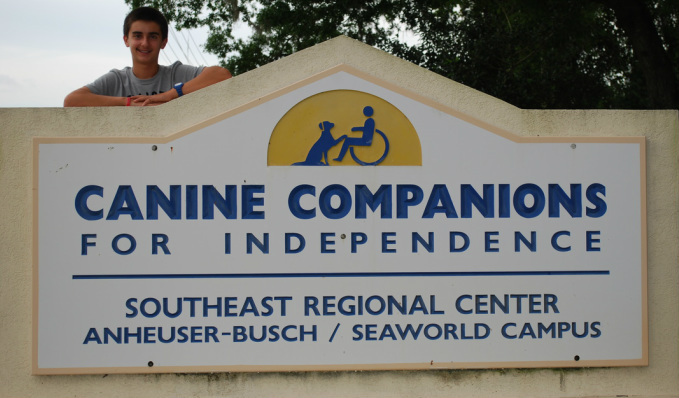 In addition, his love for animals and desire to help people inspired him to create a great fundraiser benefitting Canine Companions for Independence (CCI). CCI is a non-profit organization that trains assistance dogs and provides them to people in need. The four types of dogs they train are Service Dogs, Hearing Dogs, Skilled Companion Dogs and Facility Dogs. CCI provides continuous support to anyone who needs it to guarantee worth-while partnerships. Thank you for supporting a great cause.